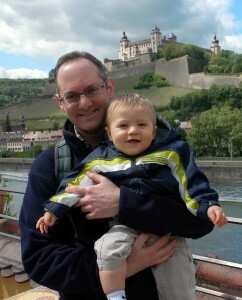 For my first day in Germany, my sister, nephew, and I spent some time exploring downtown Würzburg. 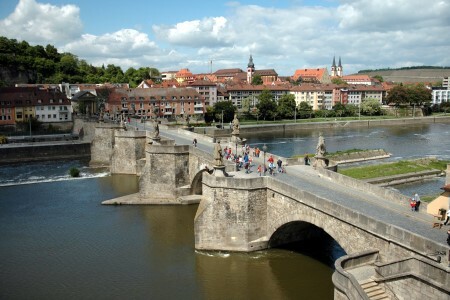 Würzburg is a moderately sized city with a very rich history located in the middle of Bavaria. The town was the last city to be destroyed by Britain's Royal Air Force. On the night of March 16, 1945 a fleet of 280 British RAF bombers dropped 1200 high explosive and 380,000 incendiary bombs on the city in a bombing run that lasted only 20 minutes. The massive air raid lead to a firestorm that eventually consumed nearly 87% of the city. 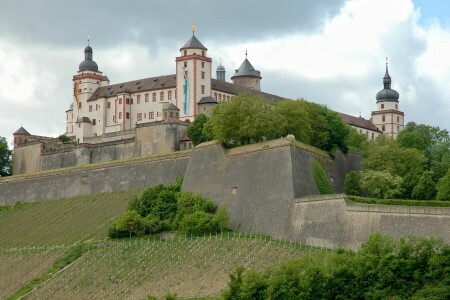 Amazingly, nearly every structure that was destroyed has been reconstructed including the Residenz, considered the most beautiful Baroque palace in Germany. 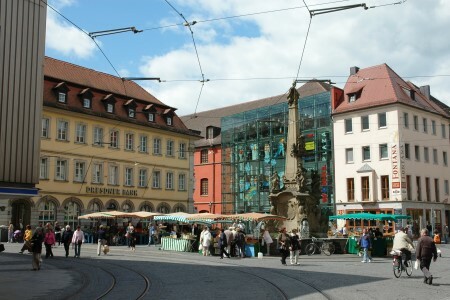 We started our day by parking in one of the lots underneath the Würzburger Marktplatz. One of the nice things in the towns we visited in Germany is they have signs directing you to the various parking lots that also display the number of spaces available in each lot. When you pull in to a lot there are signs that direct you to the available space. This is much more efficient than what we have in Chicago where you drive around the lot looking for an available space. 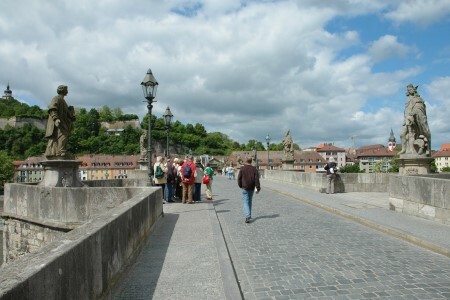 From the marketplace we walked to the bridge over the Main River where we could see the Fortress Marienberg at the top of the hill. 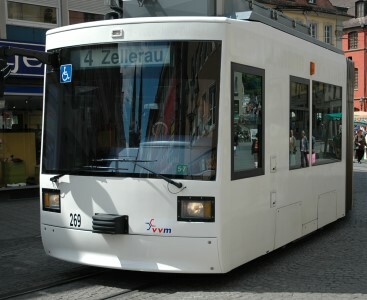 As we walked, one of the streetcars passed us by near a shopping area. We didn't go on one, but they looked very nice and clean. From the bridge we walked back to the shopping area and went to the top floor of a store which had a patio providing an even better view of the fortress and the bridge. After stopping for a brief lunch we walked over to the Residenz, stopping to look in St. Kilian Cathedral along the way. 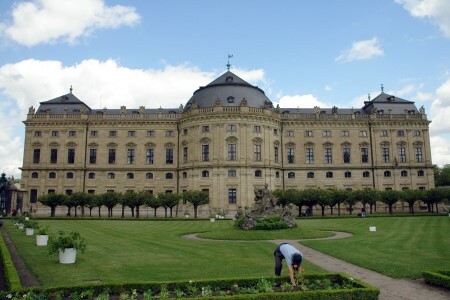 The Residenz is a very large palace that was originally designed for Prince-Bishop Johann Philipp Franz von Schönborn and took over 60 years to complete. Unfortunately they don't allow strollers or photography in the Residenz, so we didn't bother going on a tour. Instead we wandered around to the Court Garden where there was a small pond with some ducks. 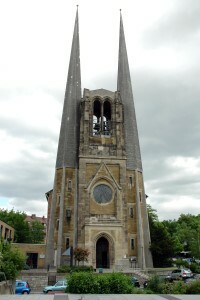 As we headed back to the car I noticed the interesting looking St. Johannis Church across the street from the music school.